A prairie drive will get you to a historic clay district and some delicious barbecue. Clocking in at a little less than three hours, this drive might take you a little longer than some of the rest, but it will take you to one of the sunniest, warmest corners of the province. Medicine Hat gets more than 300 days of sunshine each year and in the summer it can get hot. The city straddles the South Saskatchewan River and has cliffs and coulees. Getting there is a classic prairie drive with grassland, farmers’ fields and sky as far as the eye can see. You’ll also cruise by a few areas that are hugely important to Alberta and Canada. Along the way, you’ll pass Suffield, which is close to CFB-Suffield, the largest military training base in the Commonwealth. Medicine Hat came about during the late 1800s when the CPR was moving west. The natural gas and clay in the area attracted industries that set up shop in the early 1900s. Medicine Hat experienced a boom and then settled down for a little while. The population now is a little over 60,000 people. Natural gas is still important and clay has become a big attraction for visitors. Outside (above) and inside Medalta’s old kilns. The interior is now lined with examples of pottery created throughout the company’s history. This could be your entire reason for going to Medicine Hat. 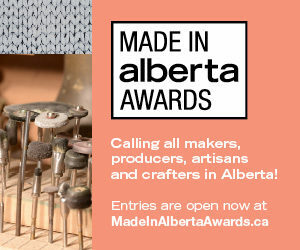 Medalta is in the Historic Clay District so designated because this spot on the South Saskatchewan River was once the centre of Canada’s clay and pottery industry. It all goes back to the huge amounts of accessible, affordable natural gas in the area that helped fuel the kilns and grow the city. Now you can walk through the museum area to see how and where two-thirds of Canada’s pottery was once made. 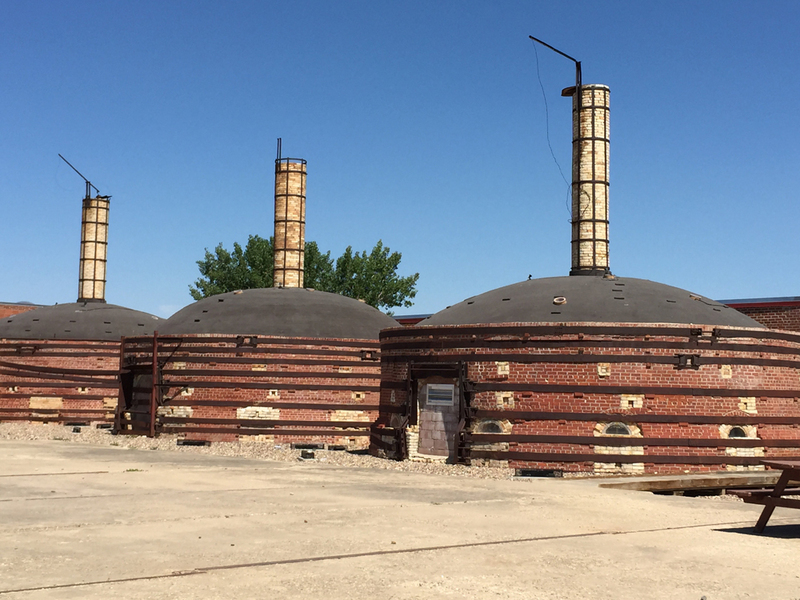 A highlight is walking past examples of Medalta pottery from the past and into the massive beehive kilns where they were made. Medalta also has a working ceramics studio where you can watch artists-in-residence create contemporary pieces as well as recreations of Medalta’s famous pots and bowls. Admission to the museum is $12 for adults and $10 for youth and seniors. Go on Thursdays between 4:30 and 8:30 p.m. for Market@Medalta where there is live music, a bar, lots of food and local artisans selling their handmade goods. The Esplanade is essentially the hub of arts and culture in Medicine Hat. It was built in 2005 and includes an art gallery, museum and 700-seat theatre. The art gallery rotates exhibits of regional art with Clay Ellis’ The Third Stake on display until August 20. The museum is a project of the Historical Society of Medicine Hat, which has been collecting local stories and artifacts since 1948. The current exhibit, Salute!, is an interesting look through the 75-year history of nearby CFB Suffield, which is one of the largest military science and training operations in the western world. Salute! is on display until September 18, 2016. The main theatre in the Esplanade is intimate and has incredible acoustics. If you can, time your trip to Medicine Hat to catch a show here. This fall Coleman Hell (September 15), Royal Wood (September 25) and Ziggy Marley (October 9) are all on the schedule. This is really an opportunity to take a short walk, stretch your legs and get up close and personal with that giant roadside monument you always drive by. Saamis teepee is 65.5 metres tall, made of steel and concrete and one of Medicine Hat’s major landmarks. It was built for the 1988 Winter Olympics in Calgary where it was placed at McMahon Stadium. Now it is along the TransCanada Highway. When you walk into the teepee, you’ll see a series of 10 paintings that illustrate native culture. A self-guided walking tour gives you some of the archeological history of the site, which was buffalo hunting ground. It’s a good reminder of how important this land was to First Nations. Find the teepee along the TransCanada close to the Tourism Medicine Hat offices. Medicine Hat has a few parks and a huge pathway network. Echo Dale in the west near Redcliff is the one with two lakes. The little lake is for swimming and the bigger lake is stocked with trout for boating and fishing. There are also picnic and firepit areas. Police Point Park is a little smaller than 100 hectares and has a nature centre and lots of pathways. It’s on the east end of Medicine Hat, nestled in a curve of the South Saskatchewan River. Go there if you want to bird watch or launch your raft into the rive. This stampede has been going on since 1887 and it is a delightful combination of all the things we love about our stampede – fireworks, rodeo, parade – but with small town charm. Go if you want another dose of Midway rides. The Medicine Hat Mavericks are part of the Western Major Baseball League (like the Okotoks Dawgs or the Edmonton Prospects). The season is June and July with playoffs in August. Sunday afternoon games, in particular, are a relaxed way to spend the day. Games are played at Medicine Hat’s Athletic Park and the most you’ll pay for a premium adult ticket is $12. Medicine Hat has a handful of local coffee shops where you can get a great cup of coffee and baked treats while chatting up the barista to get some tips on the city (they really know what is going on). Station Coffee Co. has daily soups and quiche as well as baked goods like cookie dough brownies from Frosted Sweets Baking. Mad Hatter Coffee Roastery roasts small batches of beans every day. It’s also licensed so Bailey’s and coffee after you enjoy your soup and sandwich is an option. You can visit both those coffee spots along with a couple of others on a Medicine Hat Progressive Caf Tour. The tour starts at 10:30 a.m. and will keep caffeinating you for a couple hours. It costs $34. This spot isn’t open yet, but it is scheduled to open this summer. It’s Medicine Hat’s first craft brewery. It will have a taproom, patio and plenty of capacity to make beer for local restaurants. This smoke house opened in Medicine Hat in 2013 and it is exactly what you want in a barbecue joint. You can smell the beef, pork and chicken smoking onsite. It’s a casual order-at-the-counter kind of place, with lots of napkins and squeeze bottles of sauce on the tables. Order a sandwich or a barbecue platter with sides that include baked beans, slaw and potato salad. Get a pound of pulled pork, beef brisket, chicken, ribs or sausage to go. Medicine Hat has a really good Thai restaurant. Thai Orchid Room has been in Medicine Hat for 10 years after moving from tiny Bow Island. The food here is authentic Northern Thai. The spring rolls, curries and pad Thai are all delicious. They spice all of the dishes to taste and there is a kids menu.